So first you’ve got to get on the subway, sporting a tie-dyed T-shirt that warns, “It Ain’t Gonna Lick Itself.” Tap your iBook three times with a Uni-Ball Micro pen to get everyone’s attention. When everyone is looking at you, possibly with the “hangdog” expression particular to veteran straphangers, flash a smile, clear your throat, and announce in a quivering voice that you have a great idea. As the straphangers edge in, reveal your plans to serialize a comic strip about a back-talking male prostitute called “Stud-Slapped.” The first strip takes place on the ravaged lawn of a halfway house, one from which the prostitute has been asked to leave because he’s been throwing Frisbees at wet-brains who are trying to read bus schedules. Ask for financial support to pursue this project, then pace the subway car with an exaggerated fake limp. Make sure to sidestep the puddles of vitamin water and the pyramid of fingernails accumulating at the feet of the city’s last hobo. Remember the hoboes—where have they gone? Stroke your chin in puzzlement. I mean these people just disappeared. Don’t veer too far off the beaten path. While originality counts for something, you should resist all impulses to show off. Make sure your story is rife with characters and settings into which the straphangers can sink their teeth; provide a bicycle chain of narrative events that does not go astray for a sentence. 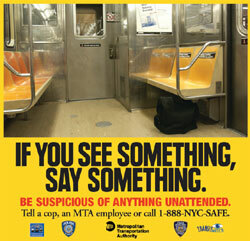 Once the straphangers are confused, and once they start wondering who did what—i.e. who lost the job, who wants the money for the basketball team, who isn’t a sherm freak, who wants a hot meal, who’s good with tools, who wants some spending money so they don’t have to chop you into pieces when you get off the train—then you have wasted your opportunity to get these people to care. Do not panic. Overcome your storytelling weaknesses by having James Earl Jones tell your story, play some patriotic music on a tape recorder, and, space permitting, provide the straphangers with some of the finer sipping chocolates and a thirty-seven pound wheel of brie. Try to make some connections. Descend into the subways like a shadow. First, tell them that you live behind a lunchmeat distribution center that resembles a prison campus. Smile tenderly, then bob your head around the car in a way that suggests that, for the better part of your childhood, it smoldered beneath a flashing siren helmet that you could never take off. Tell the straphangers that they need to give you money, lots of it, because you need to buy a briefcase full of taser guns powerful enough to mince the MSGs that are being pumped out of the lunchmeat distribution center. As the straphangers rub their chins and eyeball each other, repeat the message: There are lethal MSGs being released through the smokestacks, trailer ports, ductwork, intercoms, electrical sockets, and the fence that encircles the lunchmeat headquarters. Silence any grumbling by lifting your hand, then warn them about the stealth, aerial assaults waged by Hungarian beef salamis. Punctuate your warning by tapping your New York Post. Keep repeating the key words until you get them to bankroll your alternative lifestyle, which is delightfully yours and yours alone: lunchmeat, tasers, MSGs. Lunchmeat, tasers, MSGs. Lunchmeat, tasers, MSGs. Tony Antoniadis very nearly sold a living room full of luxuriant, teal carpet to Louis Farrakhan. As usual, seam-placement was the deal-breaker. He has been published in McSweeney’s and has a story about melancholy fire wardens appearing in Open City #20. He lives in Brooklyn. "I try to think of myself as Emma Peel in a black leather catsuit ..."